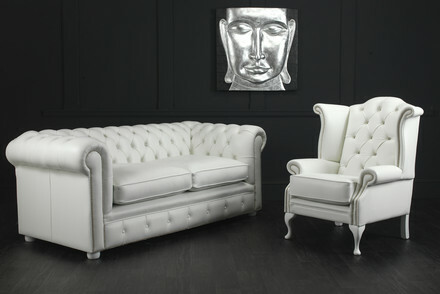 The Chesterfield Sofa is synonymous with style, sophistication, luxury and comfort. Since the first distinctive model was created hundreds of years ago, the basic design has endured, requiring only slight modification to suit the tastes of each subsequent era. Born in 1694, Lord Phillip Stanhope was the 4th Earl of Chesterfield and was an admired writer and politician. As a patron of the philosopher and writer Voltaire, Stanhope was something of a celebrity and was also known as a trendsetter. Mindful of his appearance, Stanhope approached a local craftsman with a request that a piece of furniture be made that would “allow a gentleman to sit upright, in the utmost of comfort, without wrinkling one’s garments”. The talented craftsman responded admirably to the task, creating the first Chesterfield sofa with its distinctive deep-buttoned upholstery, equal height of arm and back, nail-head trim and rolled arms. The popularity of the Chesterfield sofa grew, though only among those who could afford such an expensive piece of furniture. Chesterfields were only to be seen in gentlemen’s clubs, exclusive private residences, executive business premises and high-class hotels though are now popular in a wide variety of locations. Wherever a Chesterfield sofa is placed, it instantly brings a touch of elegance and class, as well as providing superior comfort. 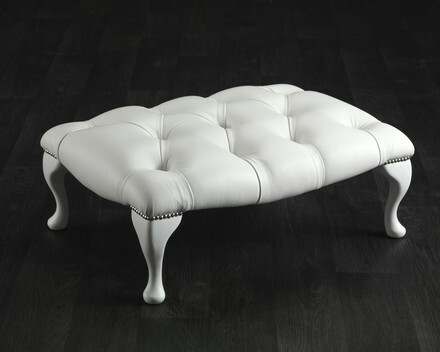 Russkell Furniture are proud to present the Chatsworth, a modern take on the classic Chesterfield design. With gorgeous studded scroll arms and polished bun feet, this 1, 2 or 3-seat piece of furniture is designed to create a visual splash and, like our entire range, is available in a stunning range of colours and fabrics to match any aesthetic choice. 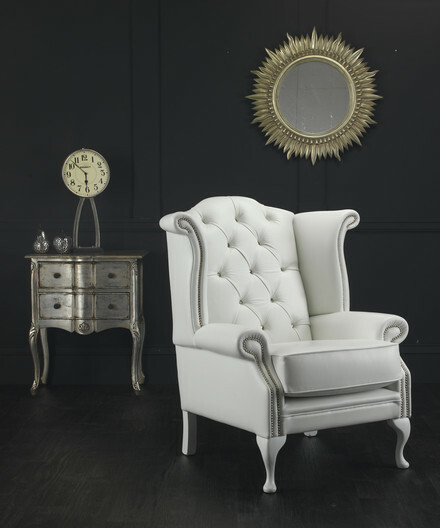 The Chatsworth is hand made in England by our capable and trusted Chesterfield-specialist manufacturers; our photo shows the design rendered in classic white to give a vintage, minimalist appeal. For more information on our exciting range of quality furniture, please contact our dedicated customer service team by calling 01254 773232 or email us at info@russkellfurniture.co.uk .